I began 2018 brimming with hope and promise. Two of my friends and I created the motto “It’s Our Year” as a way of reclaiming what we lost in 2017 — a year when we faced sexual harassment, unexpected deaths, and constant conflict. I wanted nothing more than to strengthen my mental health. I scrawled the motto on my calendar and attended a wellness retreat for women of color to re-center myself. I knew that things would get better. I am 33 and a mother, and sometimes still wonder if I should be so naïve. Depression marked most of January. In the midst of celebrating Black History Month, I grasped for the loose threads that held my optimism. Then the Austin bombings rattled March and triggered my fall into anxiety. 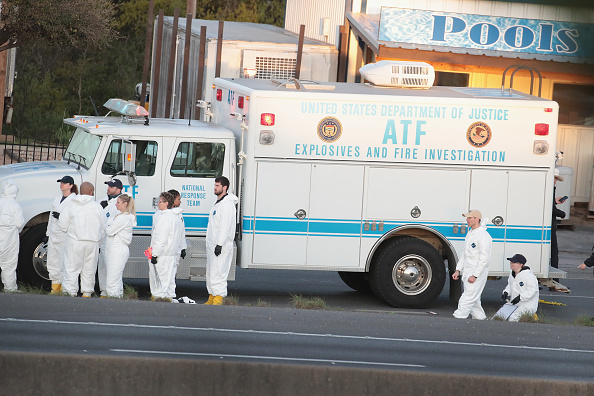 A serial bomber terrorized residents in Austin, Texas, less than a half hour from my home, for three weeks in March. I do not want to focus on the bomber, 23-year-old Mark Conditt. The news has already given him a prominent platform. If you search for #AustinBombings on Twitter, you will pull up some of the finer points of what took place in the Texas capital. What has increasingly been lost in conversations about the bombings is the impact they had on the minority community’s mental health. The initial wave of bombs sparked fear that this was a pattern of hate crimes. Anthony Stephan House, a 39-year-old Black father and businessman, died in the first blast on March 2nd. The second bomb killed Draylen Mason, a 17-year-old talented Black musician who played in the youth orchestra Austin Soundwaves and was recently accepted into the Oberlin Conservatory of Music. A third package bomb injured 75-year-old Latina woman Esperanza Herrera. Police speculated her package was meant for a neighbor mistaken for a member of the Mason family. 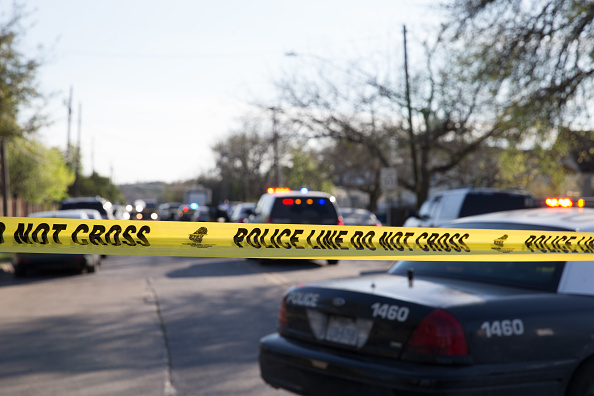 In the aftermath of these three bombings, I listened steadfastly to KAZI, the Austin-based radio station that serves the city’s African American community. In one instance, The Wakeup Call host Kenneth Thompson mentioned the level of vigilance that had increased in his neighborhood since the bombings. His neighbors were leaving more lights on at night. People gathered in the street to talk. There were discussions about people using their military backgrounds to protect themselves, to educate others, to do whatever was necessary to feel safe as a member of Austin’s Black community. How can one person have such an immense impact on the lives of others, causing reverberations that will ripple for decades? Black men and women remain at the intersection of race and violence. There is a lingering silent fear, an ever-increasing anxiety that our movements will be restricted as we are mistaken for an assailant or a target. We are not afforded the deferment of worry that comes with white privilege. This is how it was for me as a Black woman living in one of Austin’s suburbs and working near its capitol. For three weeks, my anxiety ratcheted skyward, my obsessions swelled, and I lost sight of my anchor to reality. With not a word on the then-unknown bomber’s name, location, or motivation, Austin and its surroundings communities were left reeling. My husband, who is white, shared my worries that we or anyone in our majority Black and Latinx neighborhood could be a recipient of a bomb. For me, it went beyond scanning for packages at our doorstep. I checked over my shoulder before I walked in the front door with my daughter. I made sure no one was watching our home or following us when we left. I swallowed my dread every time I opened my garage in the morning. I began to refuse to go outside to walk in the neighborhood and restricted our movements to the house and backyard. I became hyperaware and paranoid. I was often restless. I hesitantly agreed to take a stroll around the neighborhood with my husband and daughter one afternoon. It was not an enjoyable experience. I scanned five steps ahead of us for tripwires, imagining bombs filled with nails — a tactic of Conditt’s — shredding my two-year-old daughter and her sister, 16 weeks in my womb. I walked down the street both numb and tuned into the imaginary tragedy playing in full color in my mind. Anxiety is in the fine details of my life. It is so fine that I don’t know when it originated. I only learned to recognize the feeling when I was educated enough to identify it. Anxiety is something I have consistently struggled with since high school and it is amplified by my ongoing battle with obsessive-compulsive disorder — the two combining forces to become the ultimate mind nemesis I have somehow learned to live with. On my better days, which are many, neither one plagues me. If I happen to feel the tinge in the back of my mind, the slow rise of their engulfing tide, I follow a set of simple steps to regain control: stop, take a deep breath, honestly assess the situation, move forward. On my worst days, I have torturous daydreams that I am often unaware of until I am minutes deep into them, snotting and weeping uncontrollably. When there aren’t daydreams, there are nightmares. Both involve my family and the horrifying ways we can be mutilated by people or things beyond our control. I comfort myself with the knowledge that these catastrophes will never happen, that they are grotesque figments of my imagination. At least that’s what I told myself until the Austin bombings began. There is an overwhelming flood of fears for a Black person living in America. Our deaths at the hands of law enforcement are endless. We are still confronted with racial discrimination in the workplace, in financial establishments, in our schools, and everywhere else we breathe oxygen. We learn at a young age how to behave and how to function within the structure of respectability politics. And when you hear that a bomber is murdering people of color, it does not take much to turn to see if there is a bullseye on your back. When Conditt changed his delivery mode, setting up a tripwire-activated package bomb in an upscale white neighborhood, and its victims were white, speculation about the possibility of hate crimes decreased. The focus shifted, and many in Austin’s minority communities found no answers for their compounding questions. We were simply forgotten. In most cases, our fears were invalidated and dismissed as irrelevant to the larger situation. At the intersection of race and violence, we have to address Black mental health. First, there is the issue of mental health being misunderstood or unrecognized by law enforcement, resulting in higher rates of police brutality and violence against persons of color suffering from mental health disorders. Then there is race-based trauma, a form of PTSD that affects those in the Black community who witness the repeated brutalization of their community, whether in person or through media. And how is it possible to process your fear when you are being erased? When law enforcement caught Conditt — who committed suicide by detonating a bomb as SWAT surrounded his Jeep — there was no feeling of peace. Law enforcement quickly discovered that he lived in Pflugerville, Texas, which is where I live. The day he committed suicide, I left work to pick up my daughter from daycare. On the way there, I ran into a line of traffic through downtown Pflugerville. Every street was either blocked off by police or crowded by news crews hungrily gathering footage. Even though I knew the police were there to help, I felt the old tinges of paranoia. I still worried that I could be pulled out of my car for any reason, that I was not completely safe, that even when mired in my own fear, I could be perceived as a threat. I scrutinized every errant piece of litter on the street on my way to the day care center. I remember being seized by panic when I spotted an Amazon box perched against the chain link fence demarcating the day care’s playground. I drove home blindly, confused about who I should contact and how quickly our lives could be turned upside down. 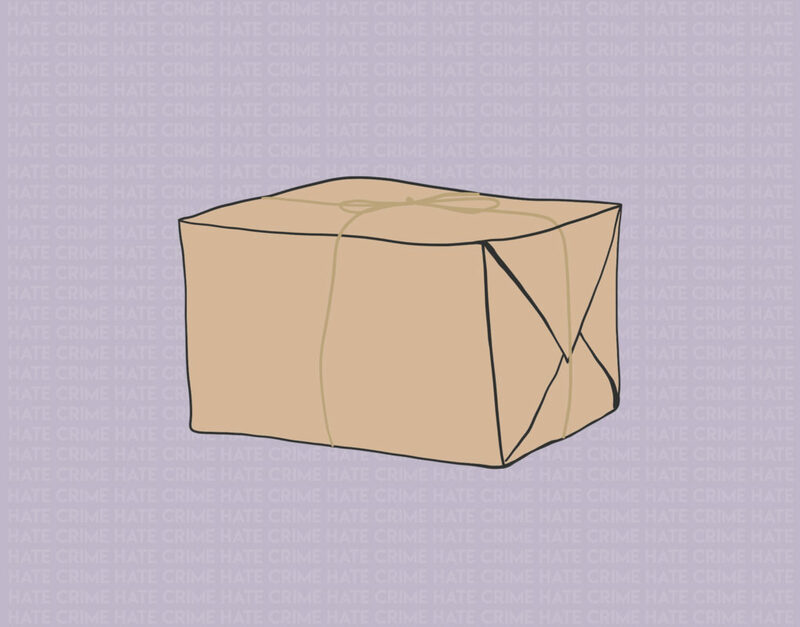 (The box turned out to be garbage.) In the time since the bomber was caught, law enforcement has fielded over 500 calls regarding suspicious packages — all of which have been benign. My obsessions have returned to their usual dull hum, but the anxiety is still present as we in the Black community await answers that we may never receive. But even in the midst of tragedy still marked by police tape and blaring news reports, there is hope. For someone who battles with anxiety and OCD, the past weeks have been worst for me, an almost complete realization of my fears. It is harder to find my anchor, to see past shadows and reach for the light. There are still moments of panic and glimpses of horrific dreams. Even with that, I have learned that there is peace on the other side. I have to remind myself that this does not mean my worst fears will come true. I live with the hope that peace will pierce through and take root.